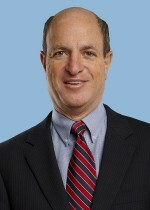 Stuart R. Schwartz, a shareholder of the law firm ScottHulse, P.C., has been named a Senior Fellow of the Litigation Counsel of America (LCA). Mr. Schwartz is a litigator in the Firm’s commercial litigation and creditor’s rights sections and holds the highest Martindale-Hubbell peer rating of AV Preeminent. He currently serves as lead editor of the three-volume “Texas Collections Manual,” published by the State Bar of Texas and is one of only two attorneys in the State of Texas board certified in Creditor’s Rights Law by the American Board of Certification. He has represented a variety of interests in both prosecuting and defending actions for breach of contract, tortious interference, fraud, fraudulent transfer, landlord-tenant disputes and deceptive trade practices. His clients include lenders, factors, landlords, equipment lessors, and commercial and individual creditors. Mr. Schwartz’s creditors’ rights practice includes representing secured and unsecured creditors in actions for debt, garnishment, sequestration, execution, attachment, turnover, and other creditor causes of action and methods of relief.